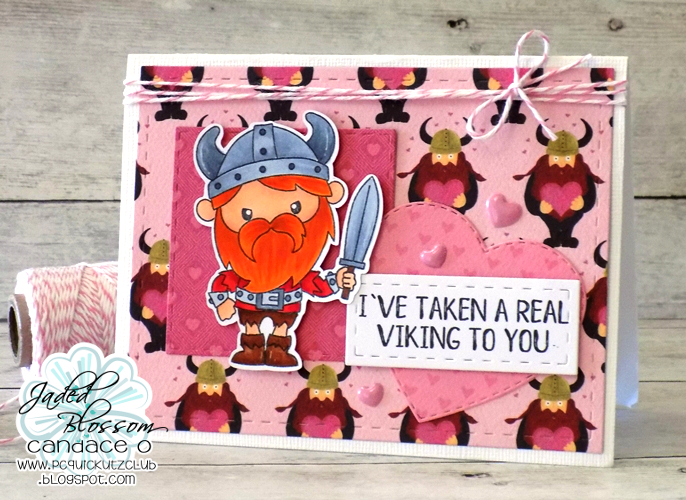 Jaded Blossom: I Vike You! Hey everyone! It's Candace from Candi O. Designs and I'm taking over the Jaded Blossom Blog today! 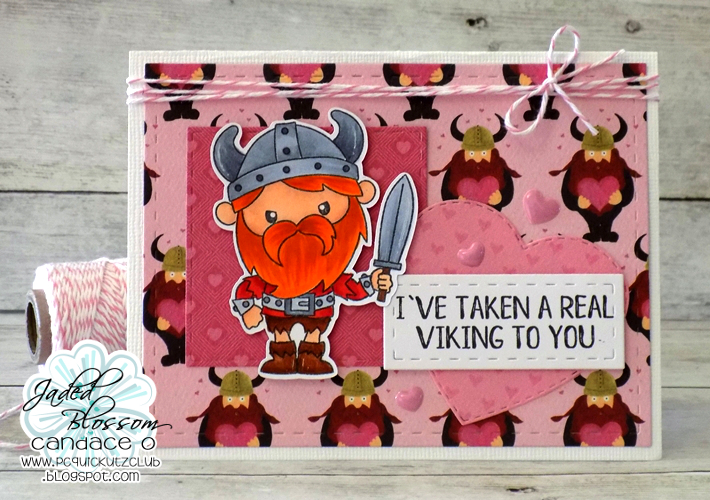 I got this new paper by Carta Bella ~ Hello Sweetheart and the viking paper inspired me to make a card using the Jaded Blossom I Vike You stamp set. Perfect Love card!! Oh my this is adorable!! This is too cute!! I love him. 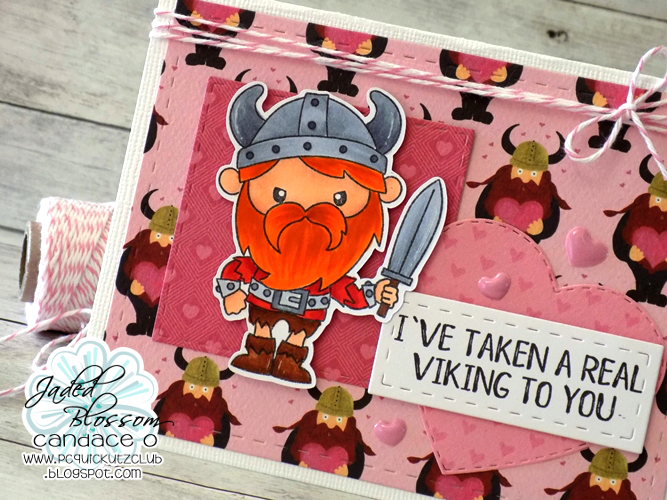 Eeek such a cute card!!!! Way TOO cute! Love this!